Product prices and availability are accurate as of 2019-04-14 05:04:38 EDT and are subject to change. Any price and availability information displayed on http://www.amazon.com/ at the time of purchase will apply to the purchase of this product. 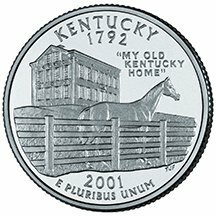 The 2001-P Kentucky Statehood Quarter depicts a thoroughbred horse set against Federal Hill, the stately mansion where Stephen Foster wrote "My Old Kentucky Home". 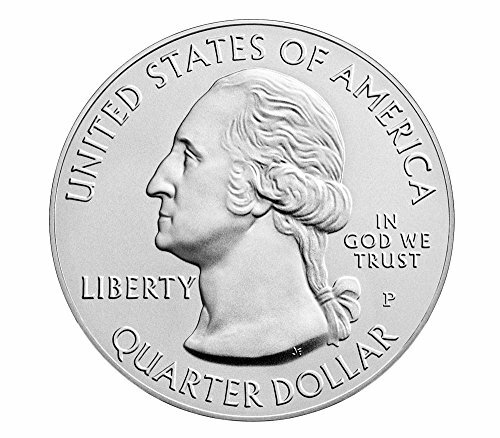 The Kentucky Statehood quarter is the 15th in the Statehood series. Stuck at the Philadelphia mint State quarters minted between 1999 and 2008. 353,000,000 were minted Depicts a thoroughbred horse set against Federal Hill, the stately mansion where Stephen Foster wrote "My Old Kentucky Home"